I’ve owned a number of smartwatches in recent years, including the first-generation Pebble, Moto 360, and recently, the Garmin Fenix 3. Beyond eyeing a few new bands, I have never felt the urge to buy an accessory for these wearable devices. This probably has a lot to do with one basic fact: Traditionally, watches haven’t come with accessories. Apple Watch is a different beast, it seems. 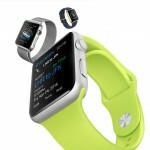 Apple Watch bands, travel cases, and stands are already trickling onto the market. Before the end of the year, that trickle is expected to become a flood — for better or worse. 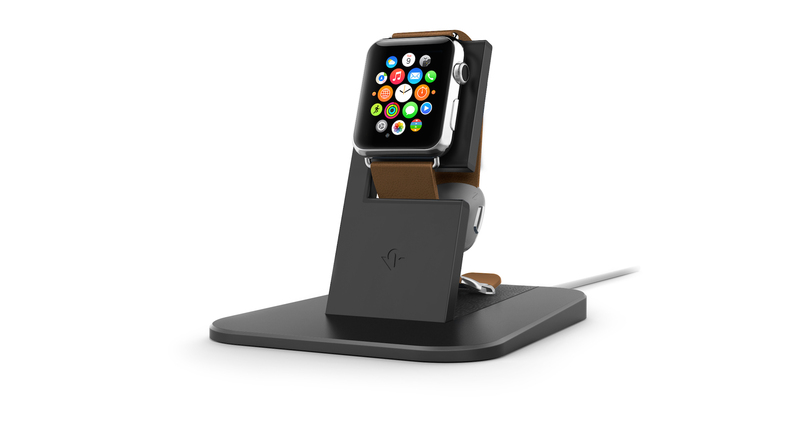 The HiRise from Twelve South is one of the first stands for Apple Watch. 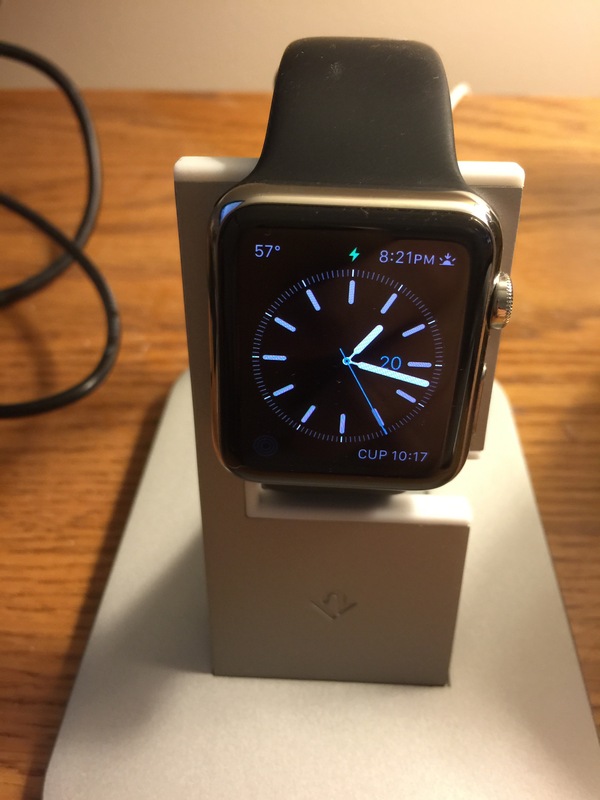 It’s also the first Apple Watch stand that I’ve been asked to review. Is it worth it? It’s time to find out. Priced at $49.99, the stand looks a lot like the HiRise for iPhone. 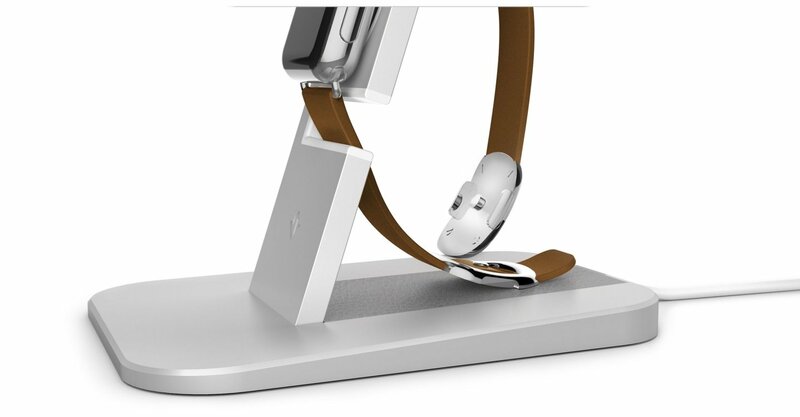 Like its older brother, the metal HiRise for Apple Watch serves two primary purposes. First, it acts as a charging stand. As such, the Apple Watch’s circular charging disk snaps into a silicone-lined cutout on the stand. Underneath, the disk’s cable is safely hidden from view, before exiting at the back. The HiRise also serves to protect your Watch when not in use. 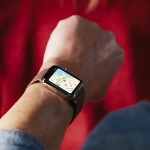 It does so by allowing the top Watch band to snake its way onto a silicone pad and then behind the HiRise support post. Once there, your band and buckle rest on a soft, leather landing pad. When I received my HiRise review unit, the first thing that I noticed was the included Allen screw and wrench. My initial thought wasn’t a positive one, as I usually hate when some assembly is required. My worries were unfounded. The screw helps to secure the stand’s support bar at 73 degrees. Installing it takes about 20 seconds. When the stand is not in use and the screw is removed, this support bar rests comfortably on top of the horizontal gutter. This is great for frequent travelers; just remember to bring along the Allen wrench. I’m impressed with the HiRise for Apple Watch. It isn’t showy, but it doesn’t need to be. Like other Twelve South products, the HiRise is built for functionality and durability. And yes, $50 sounds about right for a product that helps to protect both your Watch and its charging disk. The HiRise for Apple Watch is available in silver and black. You can purchase one through Twelve South, Amazon, and at your local retailer.